“Recharge. When you run a company across multiple time zones, you are traveling and in meetings around the clock. So be smart and carve out time to relax and unwind. I believe in the golden rule: work hard and play hard. I had the pleasure of interviewing Rita Kakati Shah. Rita is the CEO and Founder of Uma, the first international platform dedicated to empowering women returning to work after a career break, transition or relocation. Uma offers networking events that allow attendees to share valuable stories, lessons and contacts, and be part of a supportive community. Uma Academy workshops help polish skills in a constantly changing work environment, providing practical tools, clear career direction and emotional support. Finally, Umaships are curated job experiences with select companies across diverse fields, that help bridge the gap between current lifestyles and return to work. With offices in New York, London, and San Francisco, the community continues to grow every day. Throughout my career, I have been a dedicated advocate for diversity and equality issues in the workplace. I received the Excellence in Citizenship and Diversity Award for my contributions during my 10-year career at Goldman Sachs in London. After an industry change to pharmaceuticals, I got married and relocated to New York City where I took a career hiatus of almost four years to raise my two children. When my son was born, I was faced with the decision of whether to stay at home and raise him or return to work. In the UK, this decision would have been easier since I would have received a year of paid maternity leave and then would be mentored back to work. However, in the US, I received barely six weeks of unpaid leave and had to file a disability claim. Motherhood is an incredible journey, and these realities are a stark indicator that rather than celebrating motherhood society seemingly punishes us for it. Being a mother is the toughest job I’ve ever done. You could be the best nanny, housekeeper and cook on the planet, but you are not getting paid, you have no recognition, and you feel like a forgotten segment of society. I started Uma to fight back against this “motherhood penalty.” Uma, is a rapidly growing global platform that helps women regain their status in the workplace after taking a career break. Uma’s story is intrinsically tied to my own. When I was thinking of re-entering the workforce, I experienced the hardships and challenges that women face every day. Employers could not get past the gap on my résumé, and it was almost like everything I had done professionally in the past was irrelevant. I have met so many incredible women who have similar stories and realized that someone had to challenge the system. I lived the problems and made it my mission to fix them. With this intent, I launched Uma in 2016. In Sanskrit, the Hindu Goddess Uma is a daughter, a mother, a sibling and a wife. She represents strength, courage and confidence. Uma provides networking events and educational workshops, while cultivating relationships with employers to curate soft reentry job experiences suitable for returning professionals. We also work with companies to foster cultures inclusive of the mentoring and flexibility needed by women sharing work and family responsibilities. It was clear from the start that we had hit a nerve in the market. I hear the stories and know the obstacles moms face as they take those first tentative steps back into the workforce. Uma is a platform to empower all women to take charge, be bold and true to themselves. Uma’s mission is empowering women to succeed at life and work after a career break or transition. This in itself is disruptive as it requires shifting the needle in the ways jobs are done today. In creating Uma, I single handedly created an international movement by identifying pain points and challenging the status quo. From income disparity to paid family leave, I am definitely not afraid of asking tough questions and making bold suggestions. With offices in New York, London, and San Francisco, our community continues to grow every day. We have many exciting feature updates and expansion plans in the pipeline. Recently we had the soft launch of our digital education and mentoring portal, which has received a great response from our members and partner companies. We have already put the infrastructure in place to scale across cultures. Listen. In order to be an entrepreneur, leader, mentor and mother you need to constantly connect with your surroundings. This means being aware of the market conditions, staying ahead of your competition, and always being ready to adapt and change. Take the time to listen to those around you, whether it is your consumer base, employee or family. 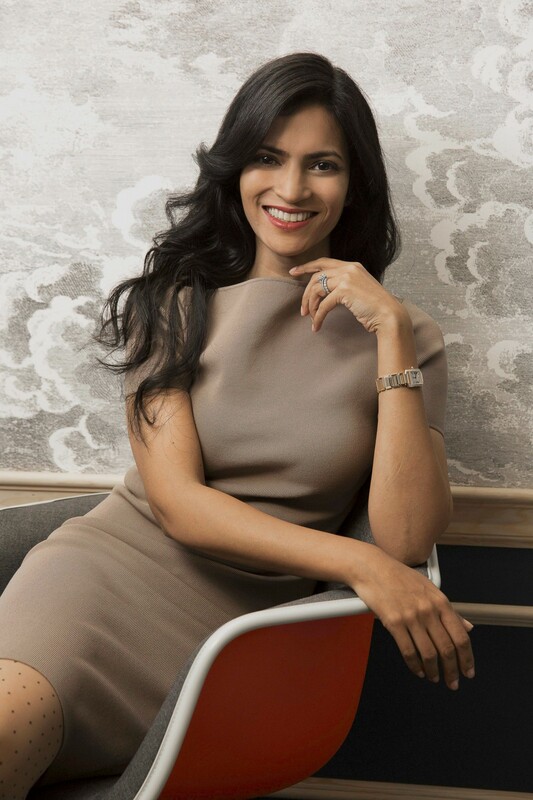 In the case of Uma, we were based in New York City, but by taking the time to listen to the voices of the thousands of incredible women in our network, we knew that in order to innovate and empower people, we quickly had to expand our operations to both the San Francisco Bay Area and London. Try. We pride ourselves on running a disruptive company, and that means constantly trying new things — not just once or twice, but continually, each and every day. There will be several setbacks and hurdles, but you have to be aggressive and keep trying in order to build a resilient brand and execute your vision. Uma would not exist had we not tried. Recharge. When you run a company across multiple time zones, you are traveling and in meetings around the clock. Couple that with spending time with your young family, and it is enough to cause burnout. So be smart and carve out time to relax and unwind. I believe in the golden rule: work hard and play hard. I love dancing, oil painting and spending time with my family and friends. Jason Fried’s TEDx talk on why “work doesn’t happen at work” is something that truly resonated with me. There are so many distractions at the office that we give everyone the option to work remotely and maintain flexible hours. This freedom increases productivity, creativity and efficiency. To foster team camaraderie and social interaction, we arrange team get togethers and dedicated idea generating time slots where the teams can get together and brainstorm. There are several role models in the world of business, however if I were to pick one it would be Indra Nooyi. This multi-talented woman is a true inspiration. She played lead guitar in an all-women rock band in India, played cricket in college, and sang karaoke at corporate gatherings. Today, she is the CEO of PepsiCo and presides over 185,000 employees in nearly 200 countries. She is a working mother and a risk-taker who is not afraid to make tough decisions. Her savvy move to part ways with fast food companies KFC, Pizza Hut, and Taco Bell and instead taking on beverages and packaged food, helped structure multiple billion dollar deals such as with Tropicana and Quaker Oats. Total genius, and a great role model!